Dillon’s, a small batch distillery in Beamsville, Ontario, is producing a line of spirits to complement their already successful gin. 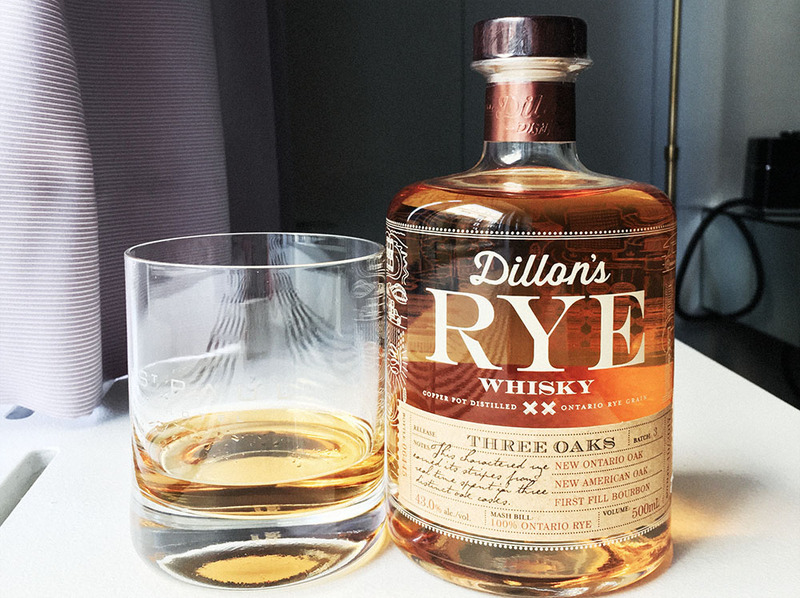 For Dillon’s Rye Whisky, they use local grains and barrels (all Canadian, all Ontario). This fact alone makes you want to support them, especially with the #buylocal trend increasing in popularity. However, the rye whisky itself is not quite where experienced whisky drinkers want their tipple to be. On the nose, there was a little sweet citrus, but it was mostly dominated by alcohol. The flavour hits full force on the tip of the tongue – it’s sweet and smooth, with standard Rye Whisky flavours of caramel and vanilla. The sweetness isn’t artificial, like other Canadian whiskies. It’s a very subtle sweetness that belies the all natural ingredients. It then slides past the mid-palate with little to no fan fare and hits hard on the finish. Long, drawn out and harsh, this is a whisky for adventurous drinkers who like to try new things and want to taste what Ontario has to offer. It’s an on-the-rocks sipper. Unfortunately, as it stands right now, it’s a bit too high in alcohol to be a real treat. Every batch Dillon’s produces improves though; we anticipate that they will release a quality Rye Whisky in the future, so keep trying their bottles to experience the development first hand.